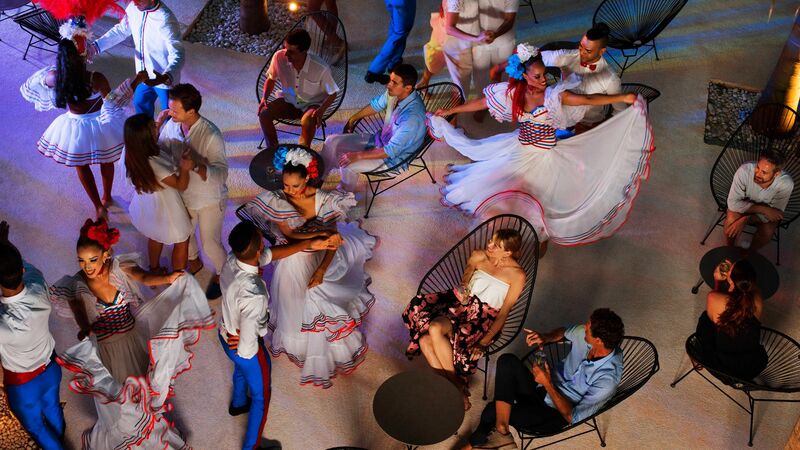 The Excellence El Carmen will truly inspire you. 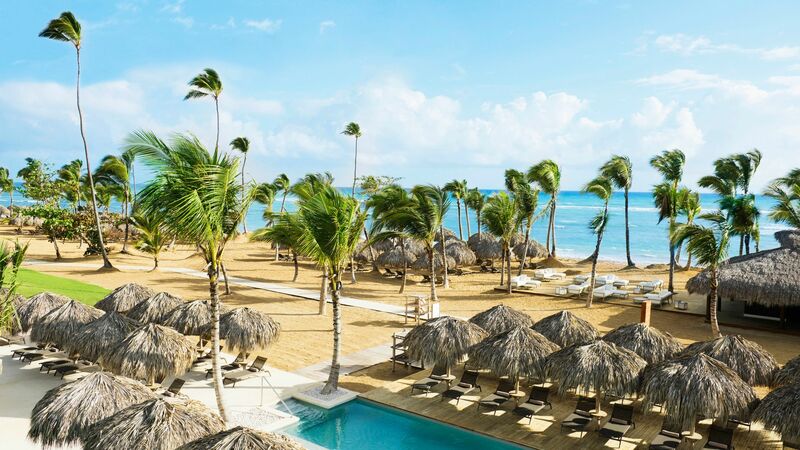 Located right in the beautiful town of Uvero Alto on the Dominican Republic’s east coast, this all inclusive and all suite luxury hotel is in one of most blissful locations in the Caribbean. The surroundings are gorgeous, with a secluded golden sandy beach and backed by palm trees filled with coconuts. Spend your days relaxing or allow yourself to be taken on an adventure, with activities like kayaking and sailing through the crystal clear waters of the sea. The 5-star suites, with in-room hot tubs, are spacious and elegant and blend well with the relaxed spirit of the island. And when it comes to dining, prepare for a culinary experience like no other with 11 restaurants serving international cuisine every night. The hotel is perfect for couples wanting to immerse themselves in the serenity of the area, with 23 pools and an excellent spa. The Excellence El Carmen hotel is all inclusive. This includes an incredible 10 à la carte choices for dinner. You are given a special welcome cocktail on your arrival. Food options include a full breakfast, lunch, and dinner as well as snacks. 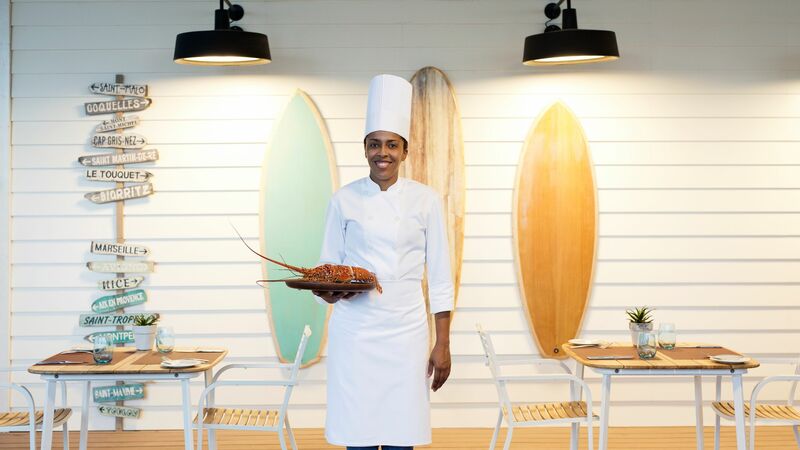 There two à la carte choices for lunch, a buffet, and a snack grill at the beach, a takeaway wood oven pizza, and all of the hotel’s bars to choose from. Unlimited juices, soft drinks, and alcohol are included, and there is also 24-hour room service, plus pool and beach waiter service. The activities are endless, with non-motorised watersports like windsurfing, kayaking, paddle boarding, sailing, and snorkeling, as well as an introductory scuba lesson. There are many daily activities and nightly shows on offer, as well as sports including tennis. There are 512 suites. The hotel does not accept guests under the age of 18 years. 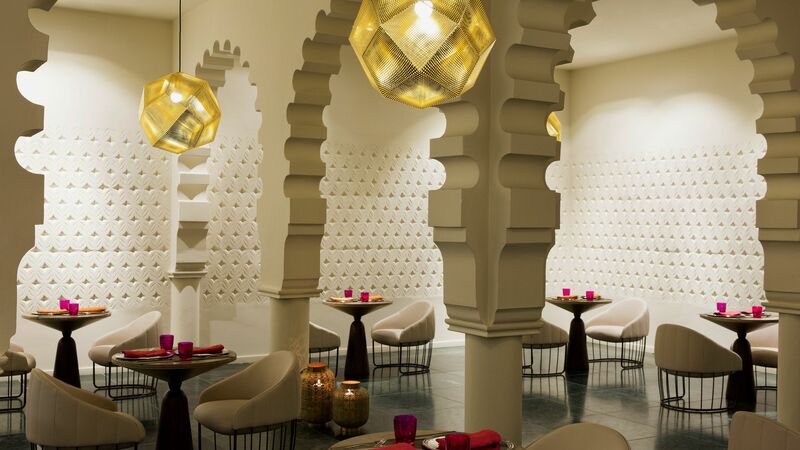 A wonderful restaurant specialising in India’s North-Western cuisine. 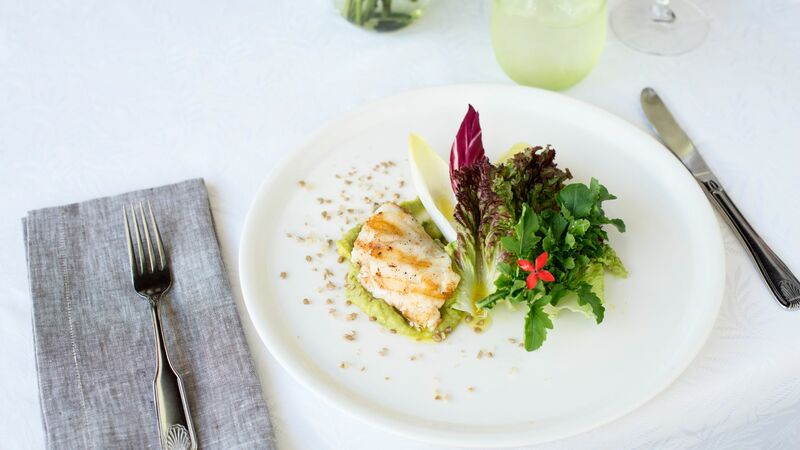 Delicious herbs and spices are mixed together for a superb dining experience with a romantic backdrop. The dress code for dinner is Casual Elegance. Gentlemen must wear long trousers, collared shirts and closed toe shoes. Ladies must wear long trousers, Capri pants or skirts, and a blouse. Casual shoes or elegant sandals must be worn. T-shirts, tank tops, shorts or beach sandals are not permitted in the restaurant. 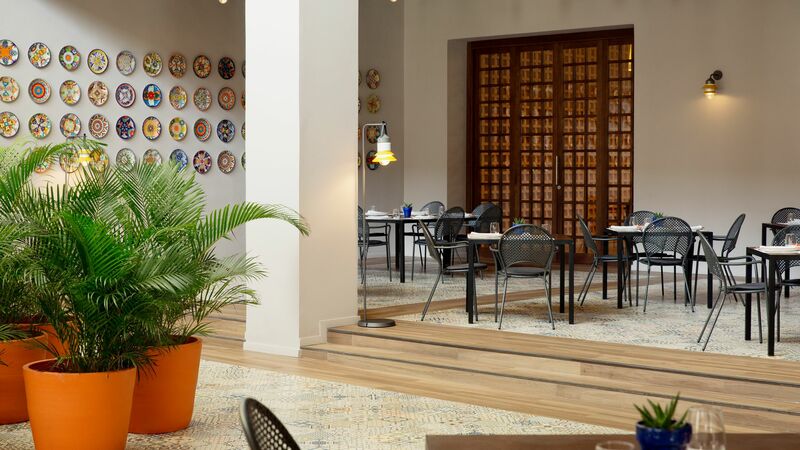 The hotel’s Mexican restaurant serves up a range of South American flavours from its spectacular à la carte menu. 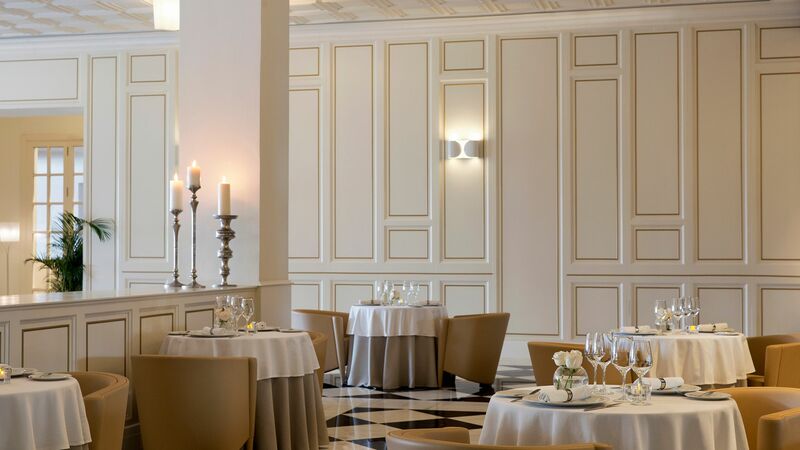 An incredible à la carte menu serving traditional French cuisine. Visit the extensive wine cellar and experience some of the finest wines in the world. 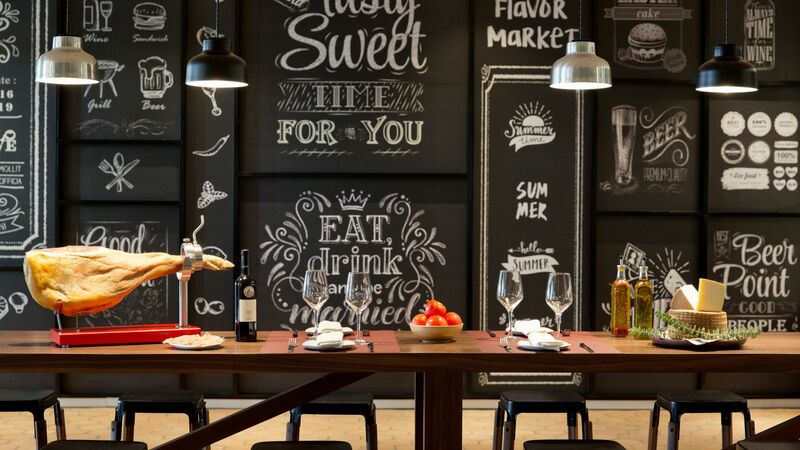 A wonderful tapas restaurant serving an authentic gourmet menu. There is also a premium wine selection. The dress code for dinner is Casual Elegance. Gentlemen must wear long trousers, a collared shirt and closed toe shoes. Ladies must wear long trousers, Capri pants or skirts, and blouses. Casual shoes or elegant sandals must be worn. T-shirts, tank tops, shorts or beach sandals are not permitted in the restaurant. Dine in style as you choose from a delicious selection of buffet breakfast options and an a la carte dinner menu, including local and international flavours. Open: 07:00 - 11:00 and 18:00 - 22:30. The dress code for breakfast is Casual. Shorts, Bermudas, sarongs and t-shirts are welcome. Tank tops, wet clothes and swimsuits are not allowed. The dress code for dinner is Casual Elegance. Gentlemen must wear long trousers, collared shirts and closed toe shoes. Ladies must wear long trousers, Capri pants or skirts, and a blouse. Casual shoes or elegant sandals must be worn. T-shirts, tank tops, shorts or beach sandals are not permitted in the restaurant. 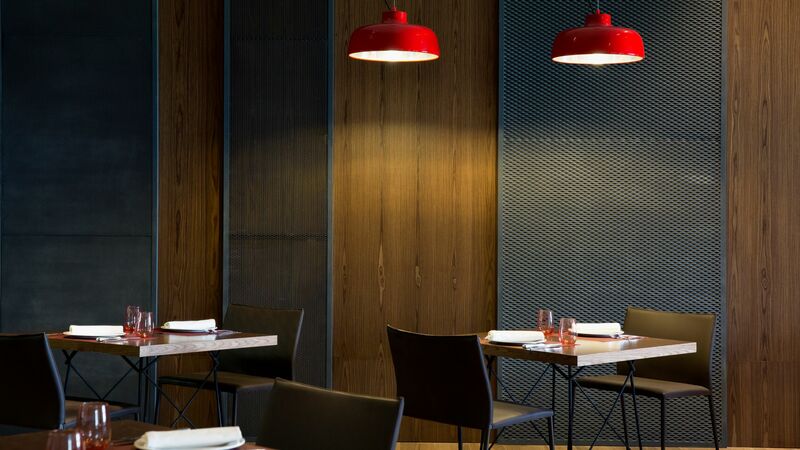 This popular trattoria style restaurant serves traditional Italian pizzas from the wood fired oven, as well as calzones, pasta and a selection of sweets and desserts. Open: 12:00 - 16:30 and 18:00 - 23:00. The dress code for lunch is Casual. Shorts, Bermudas, sarongs and t-shirts are welcome. Tank tops, wet clothes and swimsuits are not allowed. The dress code for dinner is Casual Elegance. Gentlemen must wear long trousers, collared shirts and closed toe shoes. Ladies must wear long trousers, Capri pants or skirts, and a blouse. Casual shoes or elegant sandals must be worn. T-shirts, tank tops, shorts or beach sandals are not permitted in the restaurant. 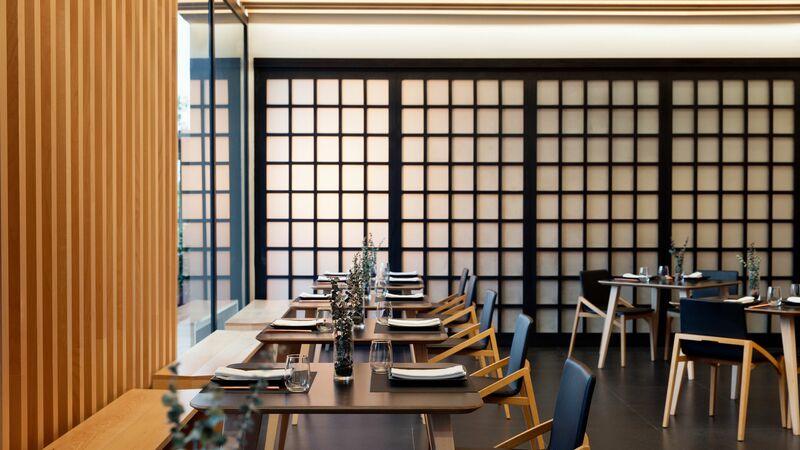 A beautiful Asian restaurant offering a selection of à la carte items. There are live Teppanyaki cooking stations and exotic specialties from across Asia. An exclusive, open air à la carte restaurant serving an extensive breakfast and grilled lunch. For dinner, enjoy rich lobster and other fantastic seafood specialties. Open: 08:00 - 11:00, 12:00 - 17:00 and 18:30 - 23:00. The Excellence El Carmen’s snack grill restaurant is located on the beach and offers a selection of salads, sandwiches, pizzas and snacks, all served buffet style. The dress code for lunch is Casual. Shorts, Bermudas, sarongs and t-shirts are welcome. Tank tops, wet clothes and swimsuits are not allowed. 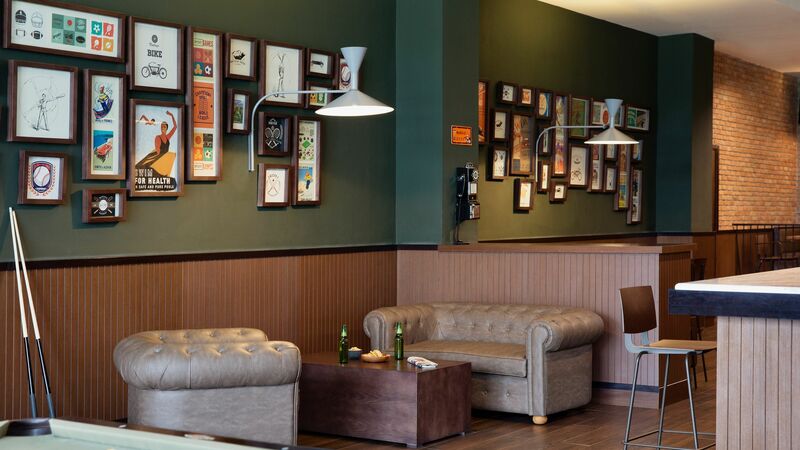 The hotel’s lively sports bar serves delicious snacks and offers evening entertainment and a variety of games. The dress code is Casual. Shorts, Bermudas, sarongs and t-shirts are welcome. Tank tops, wet clothes and swimsuits are not allowed. The hotel’s steakhouse restaurant offers an à la carte menu serving quality cuts of succulent American and Brazilian meat. A great restaurant serving buffet breakfast and lunch and offering versatile international and Dominican cuisine for dinner. Open: 07:00 - 11:00 and 12:00 - 16:00. The dress code is casual. Shorts, Bermudas, sarongs and t-shirts are welcome. Tank tops, wet clothes and swimsuits are not permitted in the restaurant. The hotel’s fun food truck is located next to the theatre and serves a variety of snacks, including hot dogs and tacos, all on wheels. Enjoy great food from the comfort of your own lounger. There is a selection of snacks, entrees and beverages available. In the evening, you can also enjoy a private candlelit dinner on the beach. 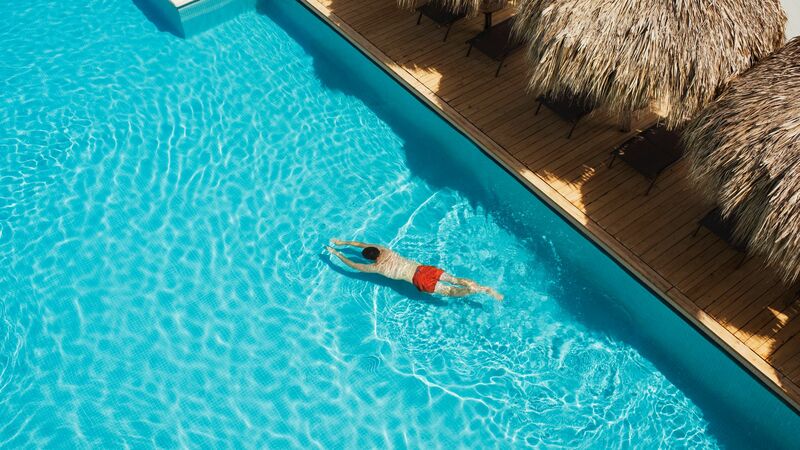 There is a huge choice of 23 outdoor pools at the Excellence El Carmen. Loungers, towels, sun terraces and lounger service are all available as well. The Dominican Republic is known for its beautiful white sands which are lapped by the crystal clear waters of the Caribbean Sea. The hotel is set right on the beach, where you will find loungers and a range of water sports. 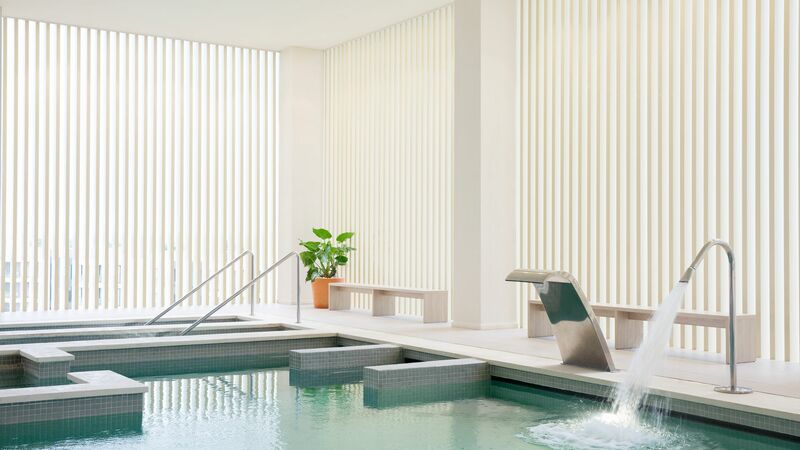 The hotel’s world-class spa is surrounded by water and offers treatments including massages, facials and wraps, as well as offering ice treatments, hydrotherapy pools and wonderful Swedish saunas. 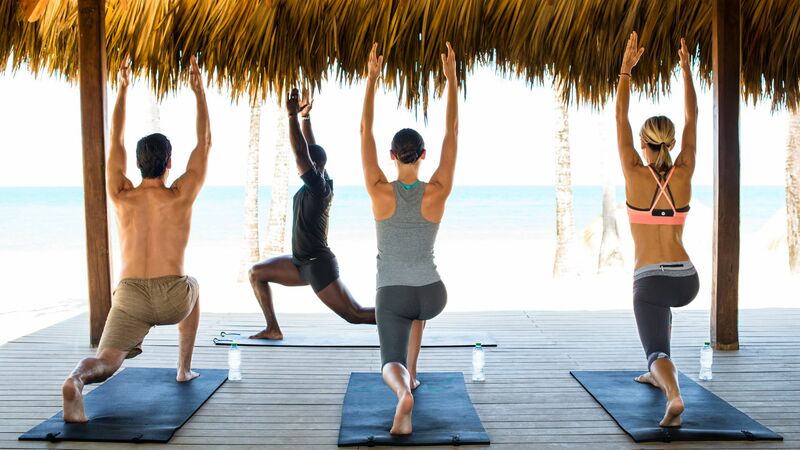 Yoga and aerobics classes are led by passionate experts who will help you learn new skills and keep active on holiday. The gym is fully equipped with the latest and most advanced equipment, helping you to stay fit and active during your stay. 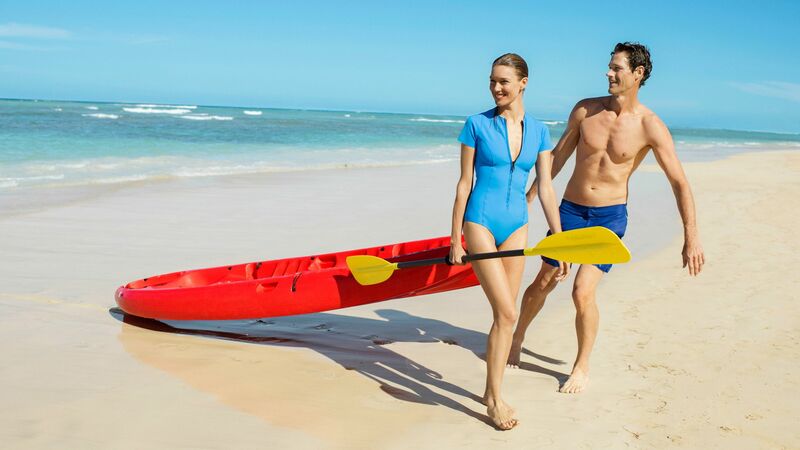 Guests can enjoy a range of water sports, including kayaking, sailing and other non-motorised activities right from the hotel’s private. There is also an introductory scuba diving class, which is free for all inclusive guests. On selected evenings, the hotel offers shows including dancing, live music, discos and more, perfect to enjoy with a drink. Excellence El Carmen is just minutes away from Uvero Alto, which is one of the most secluded villages in the Caribbean. 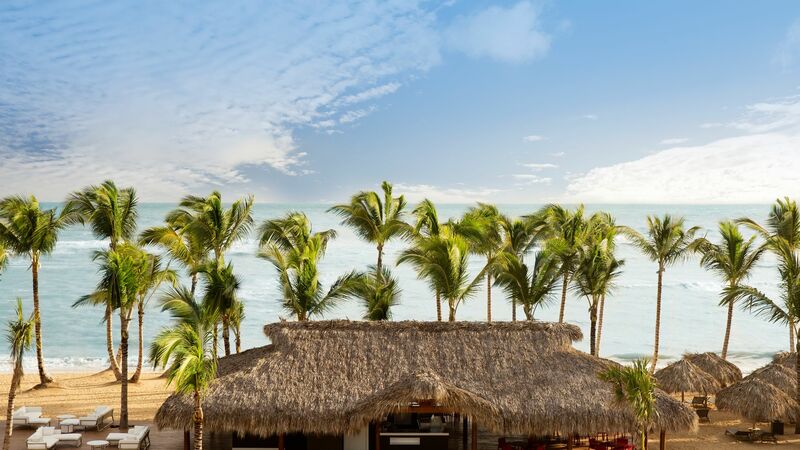 It can be found on the Dominican Republic’s east coast, which is often called the Coconut Coast due to its beautiful palm trees which stretch along the white sands. If you prefer to spend your days exploring, there are some spectacular coral reefs just off the coastline, as well as deserted white sandy islands where you can spend the day sunbathing and picnicking. Alternatively, try sailing and kayaking, or head in land for an off road adventure through the luscious interiors of the island. For the ultimate beautiful views take a sightseeing helicopter tour around the sun drenched coastline. Excellence El Carmen is located 45 minutes from Punta Cana Airport. Junior Suites Pool View measure approximately 74m² and feature a king size or two double beds, L-shaped sofa, oversized whirlpool for two, bathroom with a double rain shower and a private furnished patio or a balcony with views over the pool. Facilities include air conditioning, complimentary wifi, interactive media TV, minibar, Espresso® machine, safe, bathrobes & slippers. Suites Pool View measure approximately 74m² and offer a separate bedroom with a king size bed, sitting area with an L-shaped sofa and double sized balconies. Junior Swim up Suites feature a private terrace with sun beds and direct access to a private pool, connected to the main building's pool. They feature a king size or two double beds, L-shaped sofa, oversized whirlpool for two, bathroom with a double rain shower and a private furnished patio or a balcony. Facilities include air conditioning, complimentary wifi, interactive media TV, minibar, Espresso® machine, safe, bathrobes & slippers. Junior Suite Ocean View measure approximately 74m² and have a stunning ocean view over the Caribbean Sea. They feature a king size or two double beds, L-shaped sofa, oversized whirlpool for two, bathroom with a double rain shower and a private furnished patio or a balcony. Facilities include air conditioning, complimentary wifi, interactive media TV, minibar, Espresso® machine, safe, bathrobes & slippers. Honeymoon Suites measure approximately 102m² and feature a bedroom with king size bed, separate living area with an L-shaped sofa and an expansive private terrace with comfortable lounge furniture. Suites with Private Pool & Garden have their own spacious garden with a private pool. Other facilities include air conditioning, complimentary wifi, interactive media TV, minibar, Espresso® machine, safe, bathrobes & slippers. Guests staying in the below room types can take advantage of the Excellence Club, including private check-in & check-out, private lounge with concierge service, buffet and bar service, private restaurant for breakfast & dinner at Lounge, upgraded minibar and room service menu, private beach area, complimentary beach bag, daily fruit & petit fours in room, upgraded spirits and wine bottle selection and one Aqua Wellness treatment per person per stay. Save up to 51% on the hotel price for holidays between 01 July - 31 October 2019 booked by 28 February 2019. My fiancé and I thoroughly enjoyed our stay at Excellence El Carmen. The staff was extremely kind, attentive and helpful. Black Coffee and Jackie Brown were very outgoing as well as welcoming! We also loved our Excellence Club staff on the beach, Wilkins and Carmen. They constantly took care of us with a smile on their faces and made sure we were enjoying ourselves 100% of the time. Wilkins and Carmen were so great that we had to go back to say our farewells on the last day. Memorable staff that were also fantastic were Francheska (Magna and The Kitchen Table), Mildred, David (from the EC beach), Carlito (The Grill and Flavor Market) and Jorge (Magna). The food was very good, especially for an all-inclusive. However, the drinks were top notch. There were plenty of pools, lounges and beach space for all. While excursions would have been fun, we loved relaxing at the hotel for the few days we had available. The beach did have seaweed, but staff were working extremely hard to clear it out for guest. They did quite the job, too. The Excellence Club area on the beach also provided books, magazines, sunblock, sun tan lotion, glasses cleaner and aloe. There were also towel stands in various locations for all guest outside near the pool and beach. All in all, the resort did everything they could to ensure a wonderful and stress free experience. We will definitely be back. Best vacation we’ve ever been on! Beautiful place, fantastic staff! Entertainment staff (black coffee, jackie brown, etc) keep the party going. Wait staff around the pool (marissa is fantastic!) and at restaurants are so nice. Felix in the sports bar is amazing! We will definitely be back! We recently stayed here to celebrate my birthday. This is a beautiful resort with alot of amenities, great nightly entertainment and very friendly staff. The food was great at the majority of the restaurants. Our favorites were The Grill, Kitchen Table and the Lobster House. The only eatery we did not like was the beach grill. We had a food incident, which was resolved by the hotel, but caused us not to go back during the remainder of our stay. The grill cook making the burgers was not very friendly, although everyone else working there was super friendly. I would like to recognize and thank the following individuals for truly making our stay and my birthday very memorable: Bianelys- Excellent service...she is an amazing housekeeper. Very welcoming and our room was immaculate each day. She would put fresh flowers, balloons, and different designs on the bed and with our drapes to celebrate my birthday. She has a beautiful and infectious smile and went out of her way to make us feel comfortable. Thank you! Alma @ The Kitchen Table- we visited this restaurant most often during our stay and she was always there to welcome us with warm Dominican hospitality. She exemplifies the meaning of outstanding service. Thank you! Dominica- Guest Services Manager- after the beach grill incident, she ensured we were taken care of throughout the rest of our stay. Thank you! DeJesus- Spice Hibachi Cook- Great personalty, very entertaining and the food was delicious. He kept all of the guests engaged and laughing! Thank you! [email protected] The Grill- What an excellent and attentive server! He welcomed us every time we weree there and didn't have to ask for anything! Although the restaurant got super busy...he handled the many guests with ease! Thank you! [email protected] Grill- Every time we arrived for dinner, she greeted us with a bright smile and with the utmost respect. Truly welcoming and smiled every time we were in her presence:) Last, but not least- the ENTIRE staff at The Lobster House was AMAZING!!! They took care of us every day we arrived for lunch or dinner. On the night of my birthday, they surprised me with balloons, a bottle of wine and a delicious piece of chocolate cake. The entire staff sang to me and celebrated my special day. They made my birthday very special and memorable Thank you all!! Besides the amazing resort, well apointed rooms, amazing spa and restaurants....the staff is why we will be returning to Excellence El Carmen next year!!!! “ Great place to visit! We had an amazing stay. We plan on returning. The only thing we thought could use improvement was the food. Seafood seemed tough and over cooked. Everything else was outstanding. Staff was amazing. This was the best vacation we have ever taken so far. I booked this trip as a birthday/ Christmas present for my boyfriend. From walking in and meeting Edwin to being greeted on the beach every day by Ruddy and being served drinks everyday/all day on the beach by Jordey was absolutely beyond expectations. The resort was fantastic with all of the restaurants and activities they had available for guests. I would highly recommend the spa for 1 day we loved it! We could have stayed for 2 weeks and still not been able to do everything we wanted to! A special thank you to Ruddy for all of his hard work every day! We will definitely be back again!